Yoga can be used other places than on the yoga mat, you can use it in your daily life too. This week I experienced how my yoga practice with the fourth limb of the yoga tree the pranayama helped me, while I was in an uncomfortable situation at the dentist. 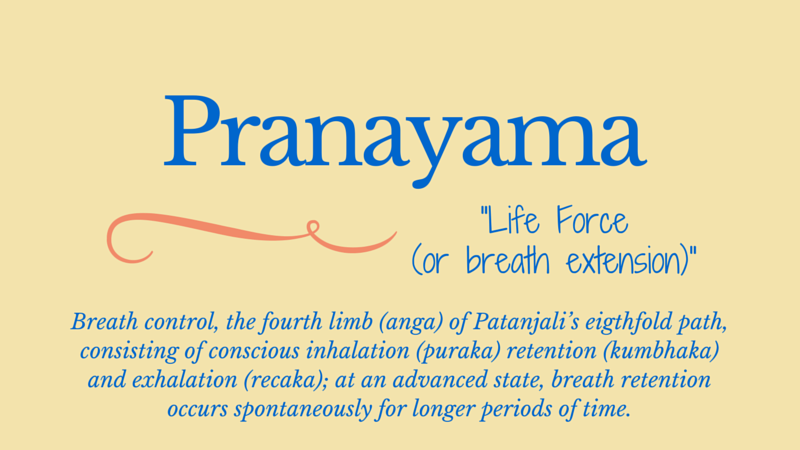 The pranayama also known as the life force is generally translated as breath control, and it consists of techniques to gain mastery over the respiratory process and helps connect your mind, body and your emotions. I struggle with dental phobia. Which I felt, when I came into the office of my dentist. I went into the waiting room and felt the beating of my heart more intensely. My breathing got more rapidly, and I tried to focus on a book I was reading. I began concentrating on my breath, breathing in through the nose and out through the nose. With long inhales and exhales, and I managed to stay calm.Later I got into the “hot” chair to get my teeth checked, and then I was even more challenged. It got more uncomfortable. I tried to calm my mind once again and asked myself what is the worst thing there could happen. ? And I continued with my simple breathing technic from my Yoga practice, and even though my body got cold and my legs started shaking, I could continue to breath calmly In and out through the nose. Long inhalations and exhalations in and out through the nose helps you to stay more calm in a stressful situation than breathing through your mouth.Which I experienced first hand when I went to the dentist.